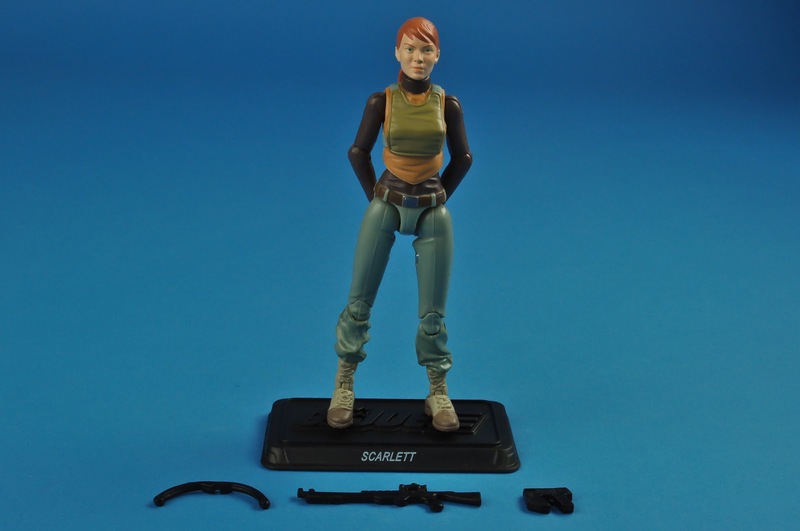 Scarlett was released in the winter of 2011 as part of the third wave of figures in the G.I. 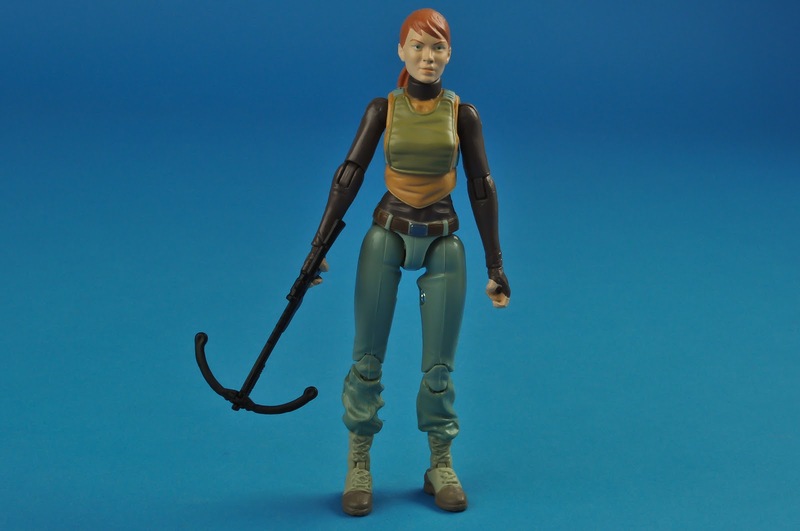 Joe 30th Anniversary line. 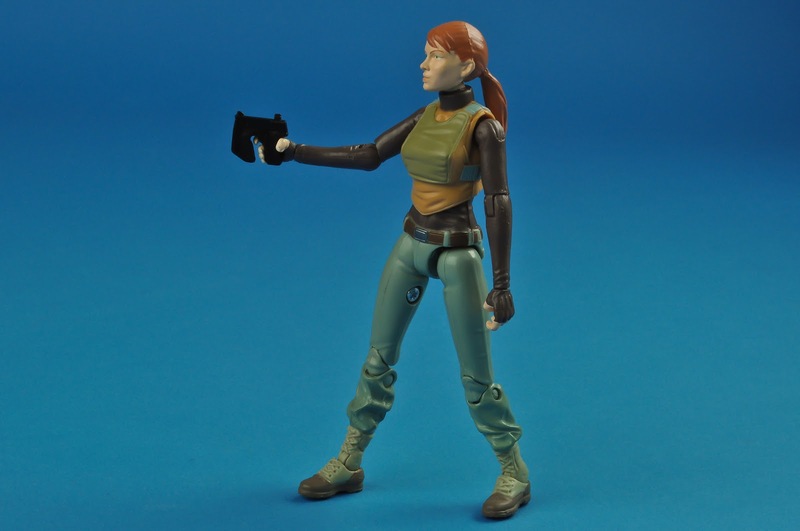 The 30th Anniversary line celebrates 30 years since the release of the modern, 3-3/4-inch G.I. 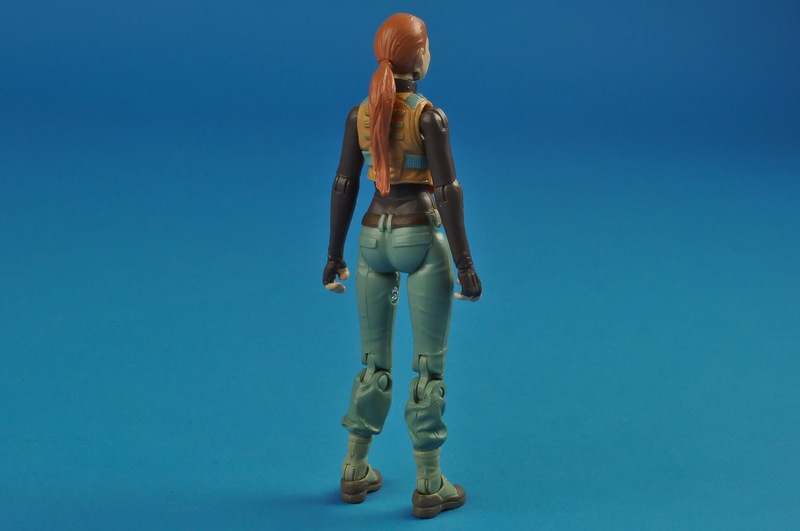 Joe action figure. 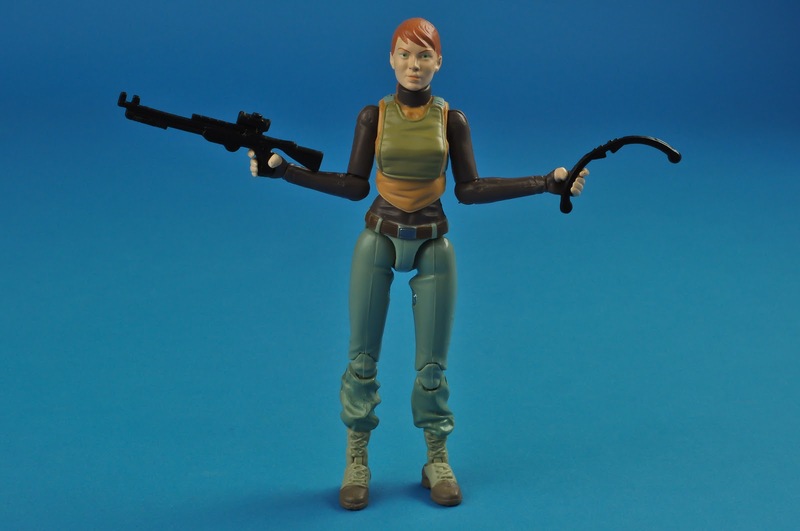 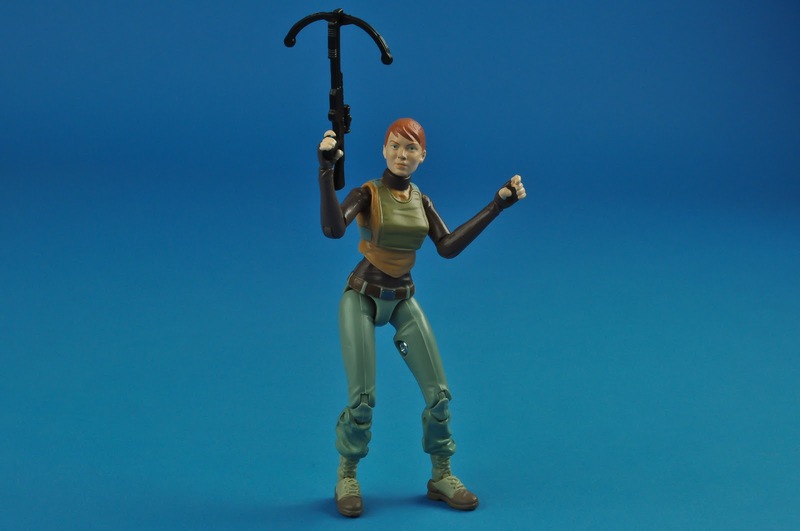 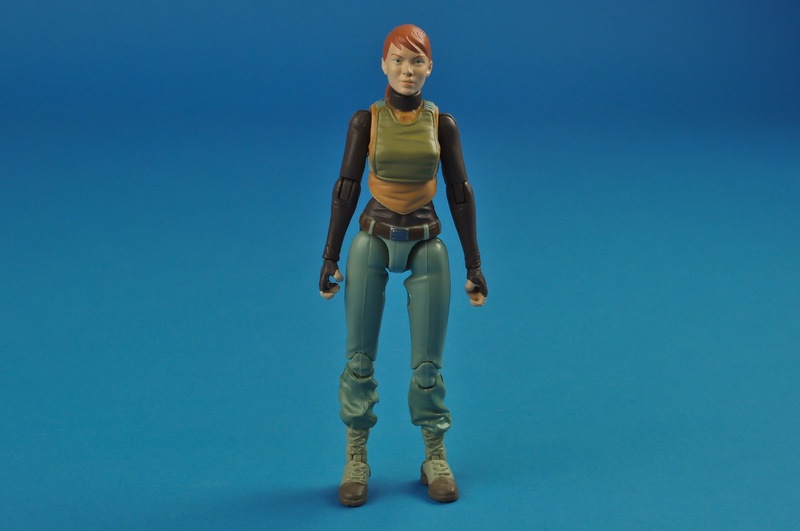 As part of the celebration, Hasbro not only included figures of classic characters from the 1982 A Real American Hero comic and television series, but also those from the G.I. 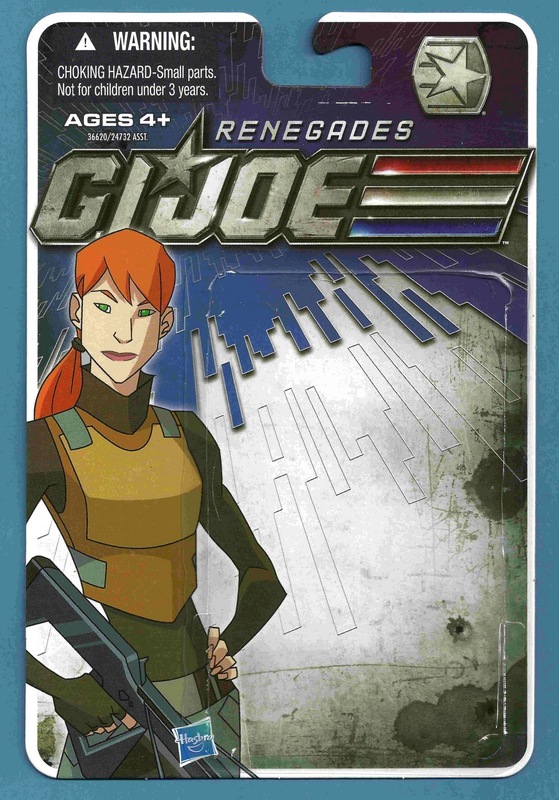 Joe: Renegades animated series. 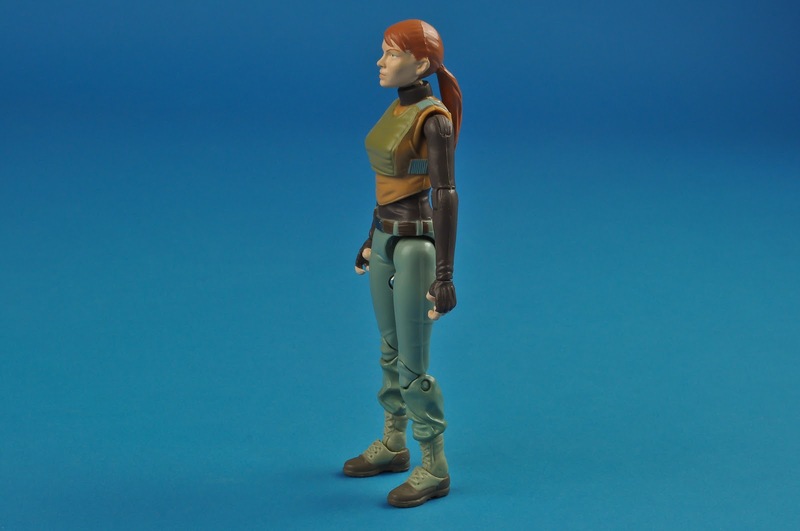 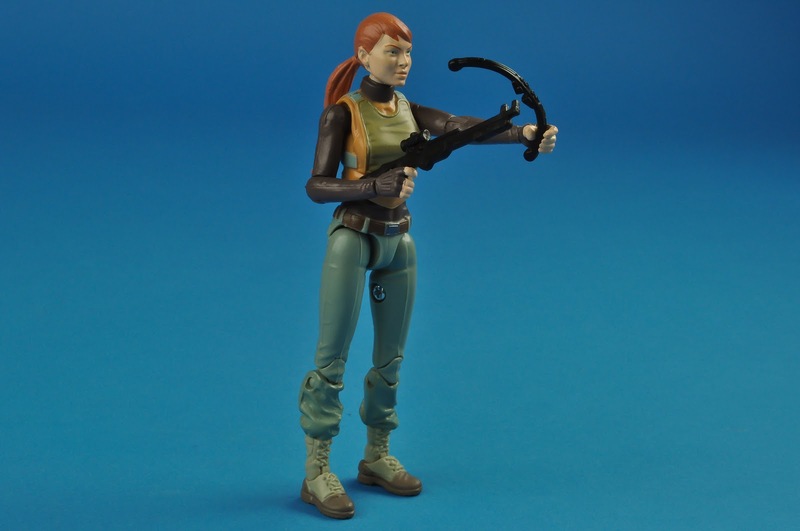 Like other 30th Anniversary figures, Scarlett's accessories were scaled back and did not include all of the gear revealed at G.I. 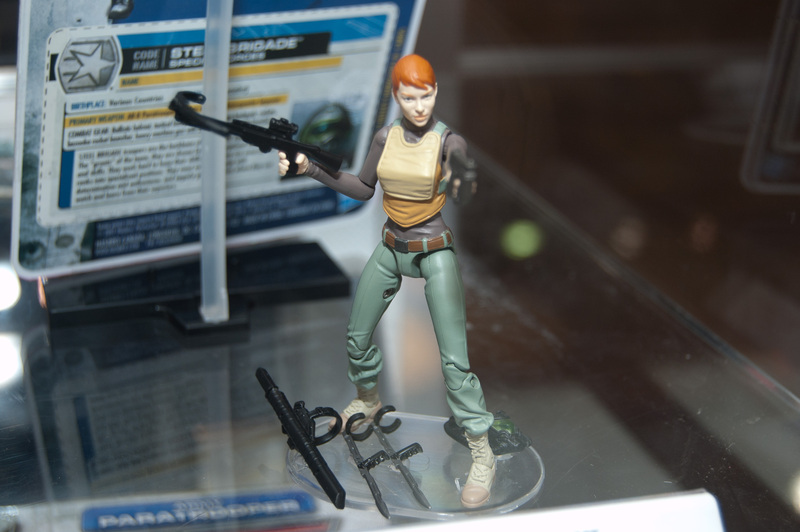 JoeCon 2011, however, unlike many of the earlier 30th Anniversary figures (particularly those in waves one and two) Scarlett's character I.D. 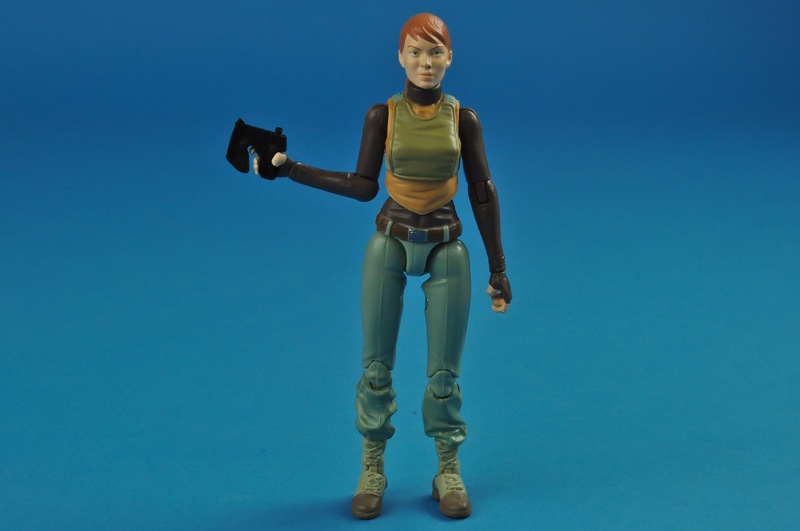 card does not make mention of the missing accessories. 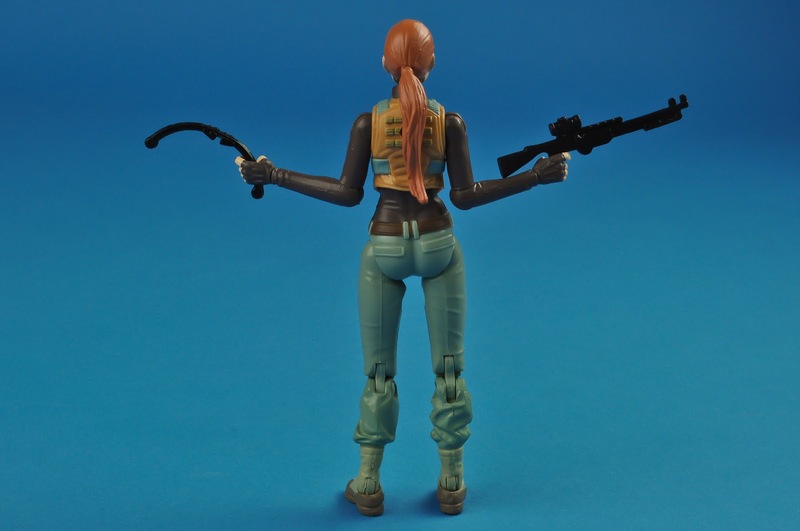 Scarlett's omitted accessories include a sword with scabbard, two forearm long blades and a gas mask. 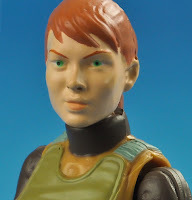 Did You Know? 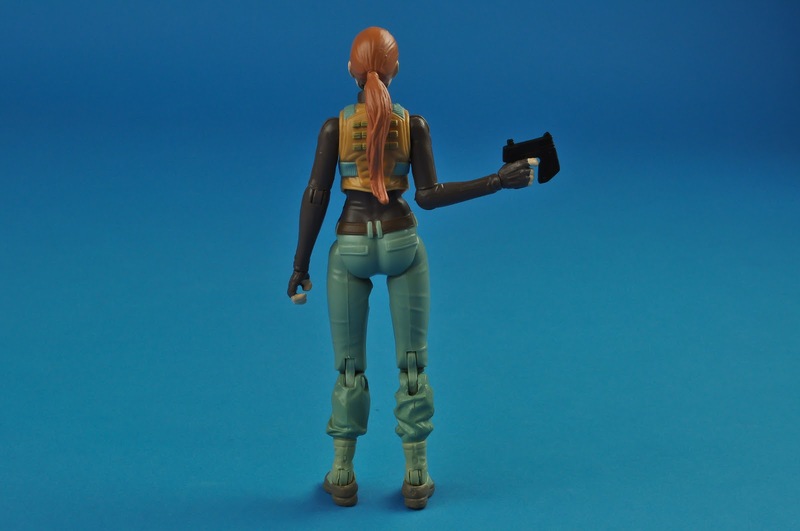 Besides the forward and back movement achieved by the standard hinge joint included on most modern G.I. 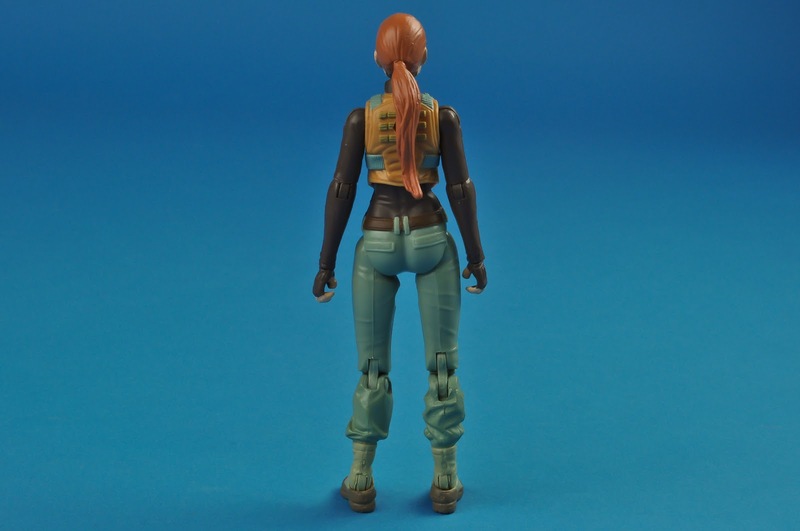 Joe figures, Scarlett's ankles are are comprised of ball joints that rotate to pivot left and right, creating additional articulation and allowing for a wider range of motion. 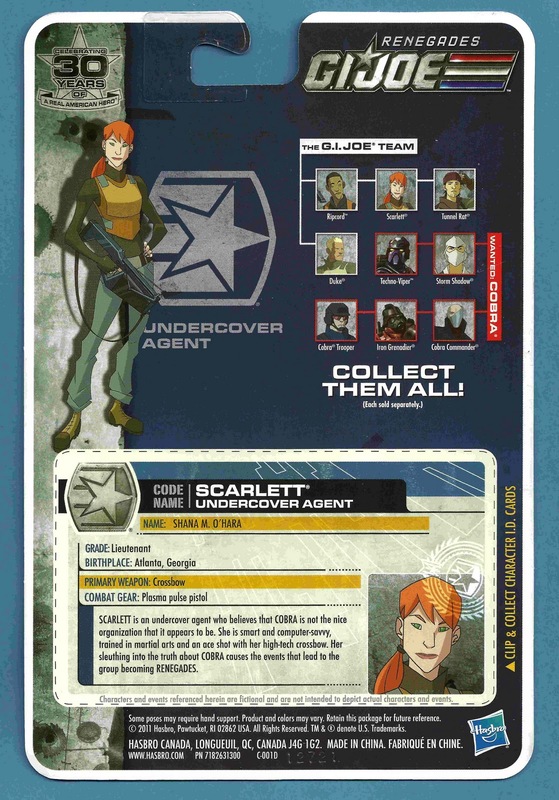 Scarlett is an undercover agent who believes that Cobra is not the nice organization that it appears to be. 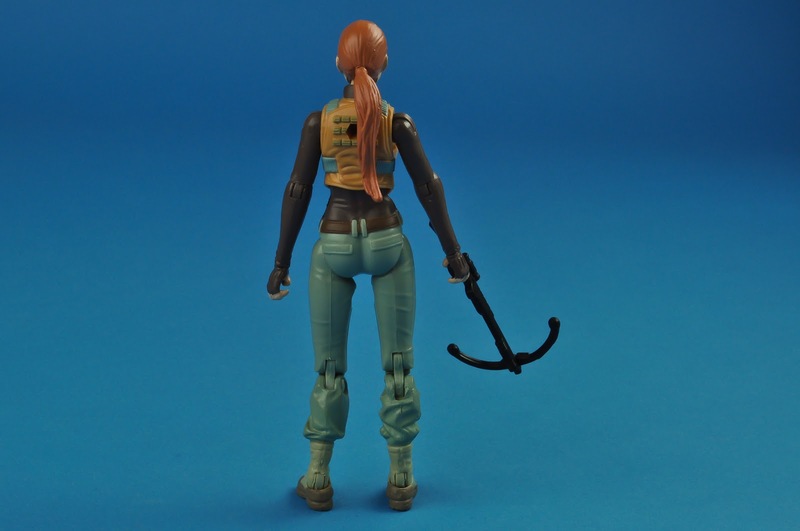 She is smart and computer-savvy, trained in martial arts and an ace shot with her high-tech crossbow. 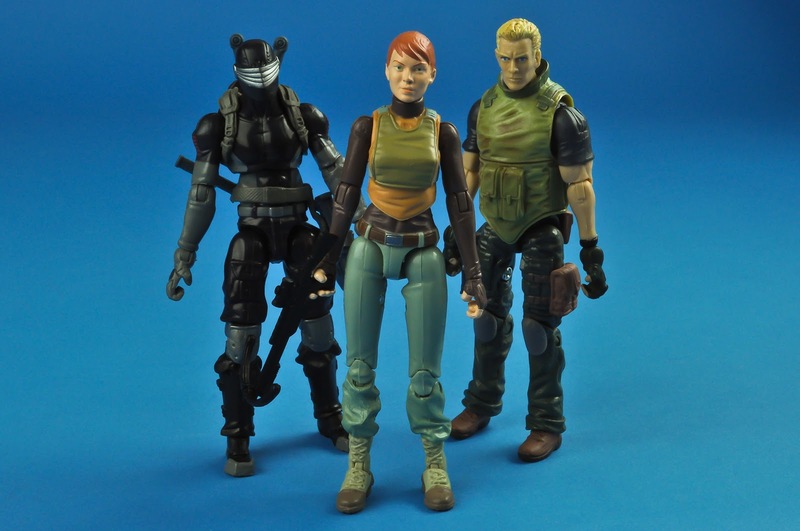 her sleuthing into the truth about Cobra causes the events that lead to the group becoming renegades.